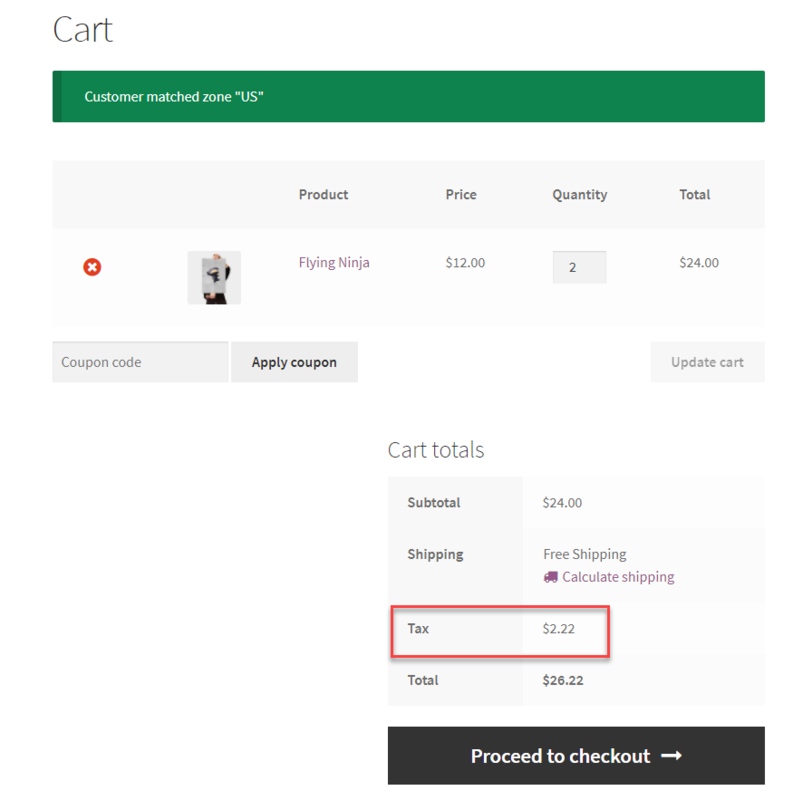 Sales tax management is a painful affair for many WooCommerce store owners across the world. It is one area where most business owners look for dedicated assistance from experts. You can get a simplified understanding of sales tax here. 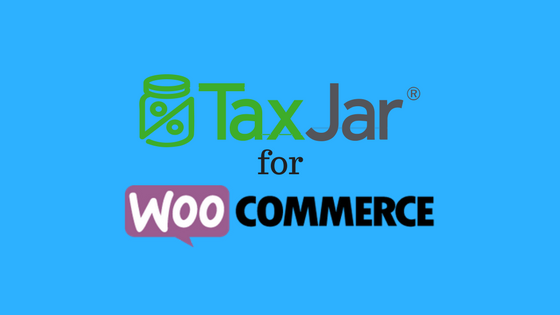 WooCommerce recommends an excellent tool called TaxJar to help store owners manage their tax compliance. This extension provides wholesome support to WooCommerce with several advanced features. In addition to the US tax regime, TaxJar helps you with Canadian tax calculations as well. With the continuously updated tax rates of this extension, you can be completely free from the stress of manually uploading new tax rates. WooCommerce store owners often have a tendency to postpone the tax calculation to the end of the year when deadlines are looming. This extension practically saves you from this nightmarish prospect. It does a daily compilation of tax rates and organizes them according to the required regional tax compliance. This may be according to the varied taxes on state, county, or city levels, or any other special tax obligations. Overall this helps you be prepared when the tax deadlines are approaching. Sales Tax Nexus is what links your business with the tax regulation of a state. According to US tax rules, you may have a tax nexus with more than one state. TaxJar helps you collect accurate sales tax from all the states which you have nexus. Filing the returns correctly and promptly is one of the many headaches of a WooCommerce store owner. TaxJar has an automated way to file all your taxes accurately to the state you are supposed to pay taxes. This will help you avoid lapses in payment or any penalties due to that. TaxJar has a direct payment method where the first 30 days is free and after that store owners can pay based on the number of transactions that they make. In spite of all the advanced features, setting up this extension is really a cake walk. Moreover, it offers automated configuration, where the store owner need not worry too much about working out all the complicated tax settings. How to get TaxJar to work? TaxJar works in a straightforward flow. You enter a set of information related to your transactions and the extension returns the accurate sales tax rate. The basic set of details that the store owner needs to provide include the store owner’s base address (state, city and zip code), transaction amount, the shipping address and any shipping charges. The real magic of this extension is how it determines the Nexus accurately. This is done from the WooCommerce base address as well as any other addresses you have stored in your TaxJar account. It also aligns your store very well with the local tax sourcing laws as well as shipping rate taxability. Once you install the extension, you need to enter an ‘API token’ which you can find from your TaxJar account. If you don’t have a TaxJar account already, you need to set up one to use this extension. The ‘Shipping From’ address (city and state code) is something you need to manually provide for accurate sales tax calculation. Once you connect TaxJar to the daily transactions on your store with the click of a button, it automatically handles the rest. You do not need to do any further configuration to get it working. Upon installation, you need to enter an API token. You have to register on the TaxJar website to get this token. After entering the API token, further settings are displayed on the settings page. You need to enable TaxJar calculations as well as Order downloads to TaxJar. In addition, you need to enter your Ship From City and Zip Code as well. 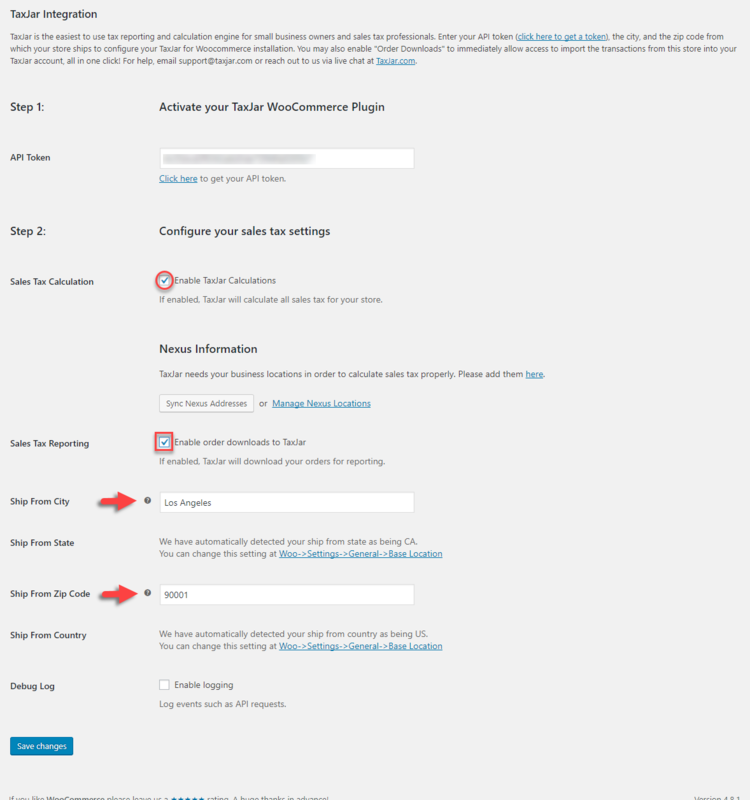 The state is automatically detected from your WooCommerce base location settings. That’s it! TaxJar will automatically calculate your taxes every time an order is placed on your site. 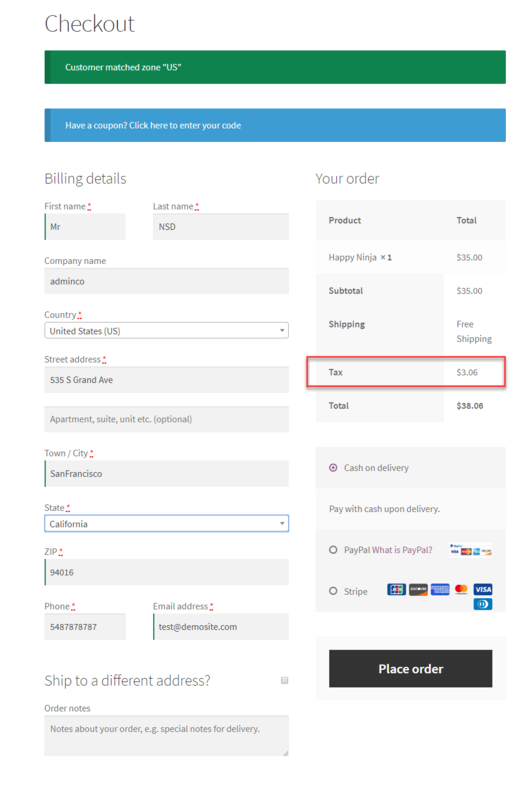 Here is how the Cart page looks like with a test order. When you proceed to checkout, you can see the tax options again. However, when the customer location change, the tax rates also changes accordingly. Here are two cases where customer location was changed between two cities in California and how the tax rates showed the difference instantly. There are also three Enterprise options available starting from $199. 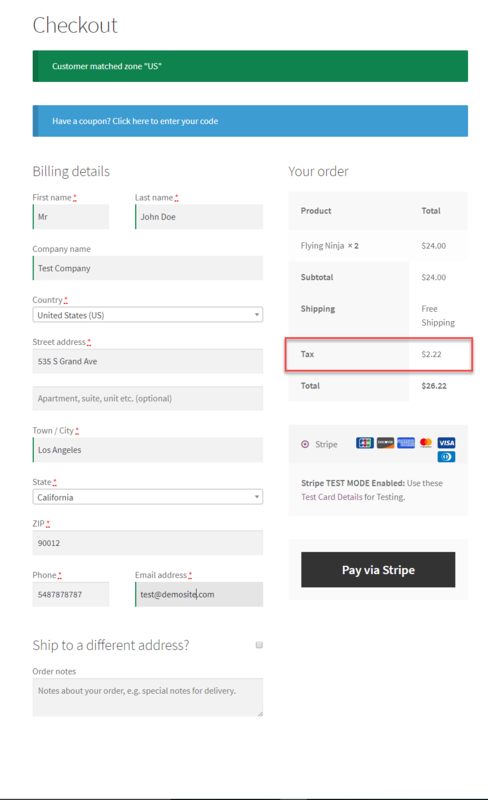 In addition, TaxJar helps you connect multiple WooCommerce stores as well as to other related sites such as Amazon or PayPal, and other shopping platforms. If you are using a platform that is not common and TaxJar can’t integrate with it, you can still upload your transactions as a CSV file.